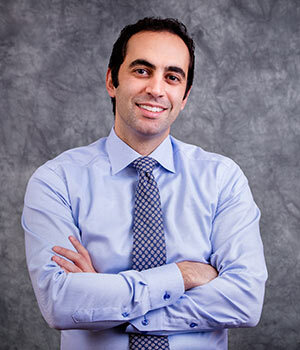 Dr. Amir Davoody received his dental degree from University of Maryland School of Dentistry and his Orthodontic certificate and Master of Dental Sciences from University of Connecticut. Dr. Davoody is board certified as a Diplomate of the American Board of Orthodontists and is an active member of the Angle Society of Orthodontists. He was awarded the Thomas Graber Award of Special Merit from American Association of Orthodontists in 2011 for his research on temporary anchorage devices (TADs). He has taken an active role in his profession by serving as a part time faculty member at the University of Connecticut Department of Craniofacial Sciences as well as staying current with latest advances in orthodontics by attending meetings nationally and internationally.